MCI Shirley is located in Middlesex County Massachusetts. 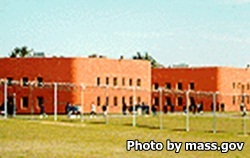 It is a mixed custody facility that houses minimum and medium security male inmates. Inmates are housed in one of thirteen units, and have access to medical care in the hospital unit. Offenders who are difficult to manage or have safety and security concerns are housed in the segregation unit. Inmates can take a variety of vocational courses and earn certifications in barbering, culinary arts and more. The Chaplains office offers worship services for various religions. Inmates also have access to educational opportunities and can earn a GED while incarcerated. MCI Shirley has over 485 work detail positions that are available to level 3 and 4 inmates. Visiting times at MCI Shirley will depend on which unit the inmate is located in. The visiting hours for Shirley minimum are Fridays from 6:30pm-8:30pm and on Saturdays and Sundays from 1pm-4:30pm and 6:30pm-8:30pm. The visiting hours for Shirley medium occur on Thursdays, Fridays, Saturdays, and Sundays from 1pm-4:30pm and 5:30pm-8:30pm (for general population inmates only, D1 inmates are not allowed visits during their program schedule). SMU visiting hours are on Thursdays, Fridays, and Saturdays 1:15pm-2:15pm, 2:30pm-3:30pm, 3:30pm-4:30pm, 6:15pm-7:15pm, 7:30pm-8:30pm and require an appointment scheduled 24 hours in advance. HSU visiting hours are on Tuesdays, Wednesdays and Saturdays from 1:15pm-3:15pm and 3:30pm-5:30pm and also require scheduling 24 hours in advance.